Carbon Calculated’s Jess Vujovic discusses Trump’s recent withdrawal from the Paris Agreement, and argues that, with the help of business, hope of curbing climate change is not lost. On Thursday, 1 June 2017, Donald Trump announced the intention to withdraw the United States of America (U.S) from the Paris Agreement. At the twenty-first Conference of the Parties (COP) held in December 2015, 195 countries signed the Paris Agreement. The United States – under Barack Obama’s administration – were among these signatories. The Agreement sets a global direction towards a productive and clean economy, and aims to keep global temperature rises under 2°C by reducing anthropogenic greenhouse gas emissions (GHGs). The World Resource Institute has shown that currently the U.S is the second largest emitter of GHGs – contributing about 15% of global emissions. Consequently, Trump’s recent withdrawal from the Agreement – coupled with a general approach to stalling America’s climate change mitigation actions – has been met with concern globally. Given America’s substantial global emission contribution, Trump’s decision will make it difficult for the world to reach the goals set by the Paris Agreement. Adding to this, under the Agreement, the United States – along with other developed country signatories – is obliged to provide financial and technological assistance to developing country Parties to assist their efforts in fighting rising temperatures. Reduced funding will make it difficult for the developing world to adhere to their commitments under the Paris Agreement – making the converted 2°C target all the more difficult to meet. Leaders in many of America’s big businesses – from tech to finance to oil – have also criticised Trump’s intended departure from the Agreement, and have reinforced their pledges to protect the environment and climate. In an effort to dissuade Trump from leaving the Agreement over 30 CEO’s from some of the largest companies based or operating in the U.S penned an open letter to the president, which had a full-page feature in the Wall Street Journal, New York Times and New York Post. 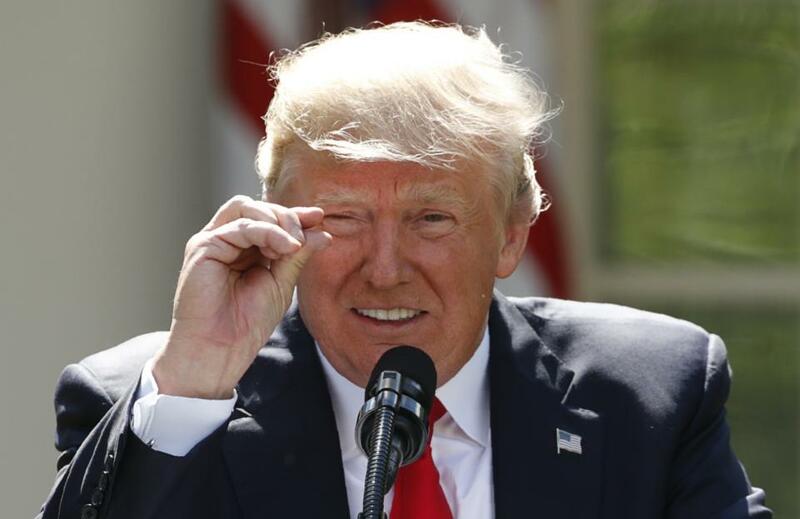 The letter stated that remaining in the Paris Agreement was in the best interests for both U.S. business and the U.S. economy, citing numerous compelling reasons – a selection are detailed in the visual extract, below. Extract from full page advertisement featured in Wall Street Journal and New York Post. In the wake of Trump’s decision a number of industry heavyweights voiced their frustration. Google’s Sundar Pichai tweeted that he was “disappointed” with the decision, and that “…Google will keep working hard for a cleaner, more prosperous future for all”. Mirroring Pichai’s sentiments include the likes of Apple’s Tim Cook, Jeff Immelt, CEO of General Electric, ExxonMobil’s CEO Darren Woods and Facebook’s Mark Zuckerberg. It is evident that businesses across the spectrum are increasingly viewing sustainability as pivotal to meeting their bottom-lines. As a result, a number of conglomerates have set impressive emissions reduction targets through the Science-based Targets (SBT) initiative. In April, Walmart announced that it would source half of its energy needs from renewable sources by 2025, and reduce its Scope 1 and 2 emissions by 18% by 2025, from 2015 levels. Some of Walmart’s biggest suppliers such as Kellogg’s, Dell and Sony have also pledged to reduce their emissions. Coca-Cola Enterprises has committed to reduce its absolute emissions by 50%, while PepsiCo is working toward reducing its absolute greenhouse gas emissions, across its value chain by 20% by 2030. Many other U.S-based companies, such as Ben & Jerry’s, Avangrid and HP have also committed to setting SBTs. While some companies have not signed up to the formal SBT initiative, many are opting to integrate emission reduction practices into their business strategy and governance. Facebook’s data centres are now powered by 100% clean and renewable wind energy. The company also aims to power all of its operations with at least 50% clean and renewable energy by next year. In 2016, Apple has sourced 96% of its electricity at corporate facilities from renewable energy. In September 2015, Siemens announced its intention to cut the carbon footprint of its operative business in half by 2020 and to become climate neutral by 2030. If the American private sector remains steadfast in their pledge to the climate – and the reactions and actions to date suggest they will – then the U.S’s emissions will arguably fall – albeit at a slower pace – regardless of their absence from the Paris Agreement. Although Trump’s decision does represent a setback to the progress which has been made in the global climate arena, big business’ reaction to America’s exit from the Agreement should be seen as shining a light of hope. ← Is there value in the CDP?